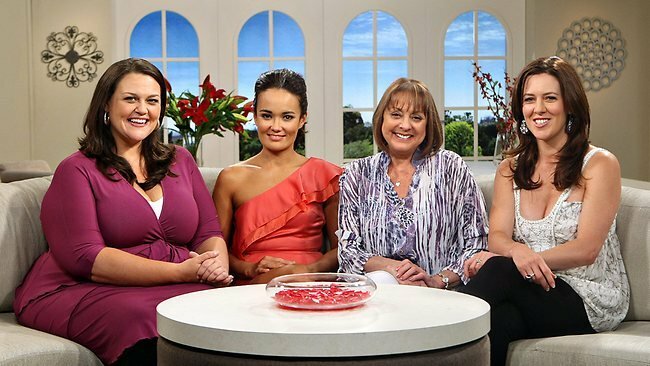 Why is Australian TV still so white? One of the more delightful developments in the Australian media landscape this year has been Karl Stefanovic's metamorphosis from a non-threatening though likeable television host into a budding social justice warrior. First, in a foreshadowing of progressive sentiments to come, there was his criticism of the weak sentence South African athlete Oscar Pistorius received for killing Reeva Steenkamp, which, Karl said left her life, "effectively rendered insignificant." Then came the famous blue suit incident earlier this month, in which he revealed he had conducted a secret social experiment into society's double standards regarding women's appearance, by wearing the same suit on the Today show set all year. Of course, no one even noticed. That stunt was still making international headlines when Karl's interview with Natalie Ahmat for the Indigenous TV network, NITV News, was released last Friday. In the wake of the screening of First Contact, the SBS show in which six white Australians travel around the country to meet Indigenous Australians for the first time, Karl took aim at the whitewashing of Australian television. Criticising his own show for assembling an all-white panel to discuss First Contact, he said, "We can stop…white people like myself can stop talking with any degree of expertise about something we know nothing about." Karl Stefanovic is right. 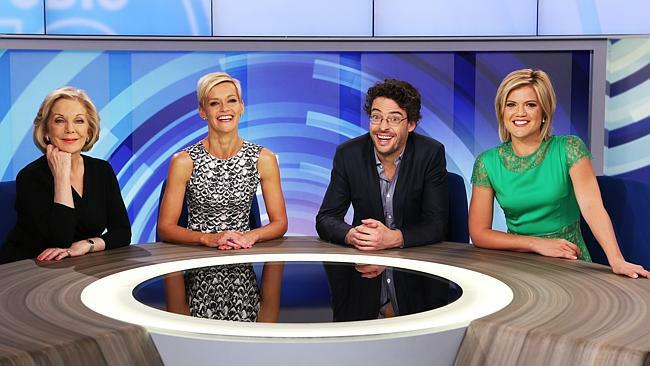 Australian TV -and our public discourse in general is unacceptably white. He is not the first to bring this up of course. Actors Jay Laga'aia and Firass Dirani said words to this effect when lamenting the lack of roles for non-white actors in Australia's film and TV industries. Only their words didn't go down as well in a society that prefers its criticism to come from within the ranks of the white, male establishment. "When you walk down Sydney streets you see so many different cultures and so many different people. Our TVs haven't reflected that yet," Dirani said in 2012. Two years later, little has changed. Today's woeful attempt is by no means the only time white people have been called upon to authoritatively comment on issues of diversity and racism. Earlier this year, I wrote about an embarrassingly white-stacked panel State Library of NSW grandly titled, "Multiculturalism: What Are We Afraid Of?" As comedian Aamer Rahman dryly noted at the time, "Apparently we are afraid of letting people of colour discuss race in a public forum." This sort of anthropological approach Australia takes to people of colour, treating them as specimens to talk about rather than people to talk to, is on painful display in programs such as Channel 10's morning show Studio 10. While it is great that talk shows like this give a platform for one historically marginalised group - women - what's not so great is that they continue to perpetuate racial exclusion. So while the woman in me applauds such initiatives, the person of colour that I also am remains fully aware that the exclusion of women who look like me continues unabated. One particularly vexing episode this year had the five white hosts plus their white guest (counter-terrorism expert Greg Barton) discuss what could propel young Aussie Muslim men to fight in Syria. I tried to follow the conversation but kept finding myself distracted by the glaring Muslim-person shaped hole on the panel. First, how sad that we actually seem to have gone backwards. Second, obviously the United States is far from a post-racial paradise. But clearly, some of its major media organisations are both aware of these shortcomings and more adept at taking steps to address them. Absolutely, there remains an overall imbalance in racial representation and certain voices continue to be marginalised, particulary those of Native Americans. However, as the above images indicate, when the US media gives women a platform, it is far more likely to include women of colour. As for Australia, I do think the exclusion is largely unintentional. It seems to me that racial minorities are still so marginalised that including them doesn't even occur to the relevant people. Karl Stefanovic agrees. When Ahmat asks him whether any thought was "given to perhaps getting an indigenous panellist on the program?," he replies, "There was no thought given to that. There was no thought given to that." But perhaps my favourite part of the interview is when Karl says, "I don't want it to just be about the issues Aboriginal Australians are facing. I want it to be about general things, just…showing a different face...I think we're now ready for a…deeper level of discussion about what's happened and where we're going." 1. Particular attention needs to be paid to how women of colour are marginalised by their gender as well as their race. I've just highlighted how non-white women are left out of "women's" shows. There is no point if, when taking a stab at racial diversity, only non-white men are included. 2. Racism has moved on from overt hatred and physical violence. It manifests in exclusion, the centering of white voices, and the failure of white people to admit to their own privilege. In other words, "nice" people can be racist too. 3. Following on from that, white Australians must stop acting like wounded children whenever the suggestion of racism comes up. Being accused of doing or saying something racist is not a bigger slur than a non-white person actually being a victim of racism. This attitude is seriously holding us back. Rather than take Jay Laga'aia's legitimate grievances on board, for instance, Channel 7, which airs the show from which the actor had been fired, claimed victimhood, calling it "offensive" and "insulting to claim Home and Away is racist." The end result being, of course, that the actor felt more ostracised from than ever and no one had to actually do anything about the diversity problem. I'd like to thank Karl Stefanovic, for pointing out what Indigenous Australians and other people of colour have been saying for so long. Now that our grievances have been duly sanctified, it really is time to finally do something about them.